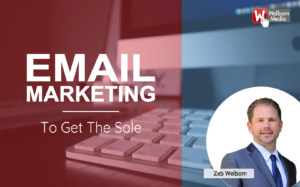 Zeb Welborn and Welborn Media are looking forward to another great year speaking on social media, digital marketing and online marketing workshops in 2017. Want to learn how to write blogs, create successful email marketing campaigns, use Facebook, Twitter, LinkedIn, Instagram and other social media channels to grow your business? Want to learn a comprehensive strategy to get your business on Google? Want to learn how to manage your reputation online so your customers will choose you over your competitors? Sign up for our workshops in 2017 and take your business to the next level. Workshops are free to attendees. Email Marketing to Get the Sale on March 30 at High Desert Americas Job Center – 17310 Bear Valley Rd., Suite 109, Victorville, CA 92395. Posted in Blogging, Business, Facebook, Google, Google Adwords, LinkedIn, People, Presentation, Presentations, Social Media, The Welborn Social Media Experience, Twitter, Welborn Media University, Zeb Welborn and tagged Blog Writing, Digital Marketing, Email Marketing, Facebook, Instagram, LinkedIn, Online Marketing, Ontario, San Bernardino, San Bernardino County Workforce Development Board, Social Media, Twitter, Victorville, Welborn Media.